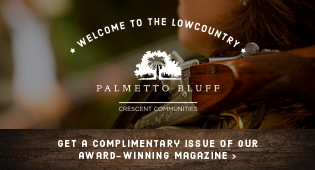 Hilton Head Magazines: CH2/CB2: Quail Hunting on Rowe Farms: The C2 crew heads to Estill, SC for a day of Lowcountry fun with Jimmy Rowe. 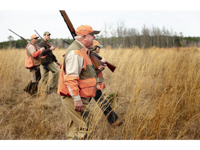 Quail Hunting on Rowe Farms: The C2 crew heads to Estill, SC for a day of Lowcountry fun with Jimmy Rowe. One could not have asked for a more gracious host than Mr. Rowe. As we pulled down the long driveway to the lodge at Rowe Farms, three four-legged greeters came to meet us with tails wagging. A roaring fire pit surrounded by rocking chairs seemed to beckon on the chilly day. 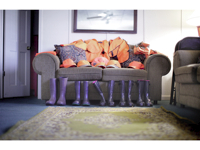 Refreshments were offered in the lodge and our hunting attire (waterproof boots, hats and orange vests) was laid out neatly in an adjoining room. 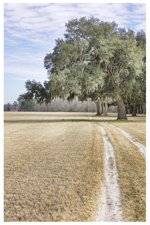 Rowe Farms is a fully functioning farm, which specializes in high-grade horse quality hay. According to Mr. Rowe, a lower quality grade of hay (which is usually given to cows – they can digest it because they have two stomach cavities) could actually kill a horse. 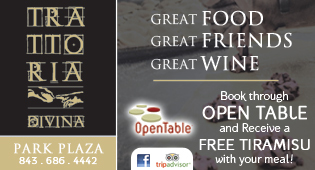 The farm is contracted to provide hay to about a half dozen local stables on a regular basis and is run primarily by Peter (the farm’s manager), Cesar and Mr. Rowe himself. 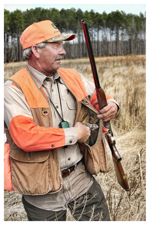 Jimmy Rowe (owner of Rowe Farms) has put a lot of time, effort and money into providing the ideal habitat for quail on his 800 acre property. In order for the quail to actually stay, nest and multiply they need three things: food, water and a place to hide from predators (raccoons, hawks, fox and bobcats). Several Johnny Houses are scattered about the property to provide food and water for the quail if they are unable to find it in the wild. 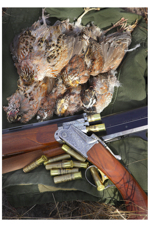 There are many varieties of quail, but the bobwhite quail is indigenous to South Carolina. Before the hunt began, our party of nine traveled “down the road a bit” to have lunch at Lester’s BBQ, a local eatery offering “All You Can Eat” lunches for only $6.00. And there was truly more Lowcountry soul food than anyone could eat! (Think fried chicken, sweet potatoes, rice, pumpkin bread, BBQ pork, collard greens, and red velvet cake). Hunting for quail requires a good bird dog. In fact, one could argue that the dog does most of the work. The hunting dogs on Rowe Farms included three English Pointers and three Labrador Retrievers. The Pointers are somewhat fascinating to watch. They will run through a field in what appears to be an unsystematic method until one of them suddenly stops and points his tail straight into the air. At this point the hunter knows that birds are near and will walk slowly to the spot to “flush” out the covey of quail. A Labrador retriever’s primary role is to search for the quail once the hunters have taken them down. They find the dead bird in what would appear to be an impossible mess of brambles and gently scoop it up into their mouth and bring it back to their master, uneaten! A good bird dog takes about a year to train, and for quail hunting, short haired dogs are better suited for the thick brush. 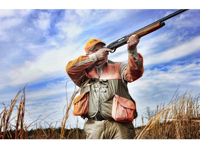 Quail season in the Lowcountry runs from around Thanksgiving until March 1. Anytime firearms are involved, caution is necessary. 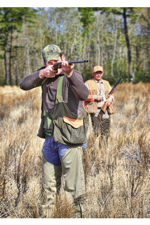 Our entire hunting party was outfitted in the very latest style of bright orange apparel so as not to blend in with the environment and accidentally get shot. Hunting is done in a straight line (horizontal), with all members walking even with each other (no one should be way in front or behind). Your position determines who will take the shot should a covey be found. 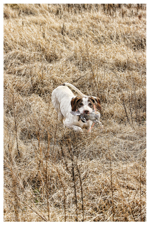 As quail are low flying birds and generally don’t get more than a few feet off of the ground, care must be taken especially where the bird dogs are concerned. 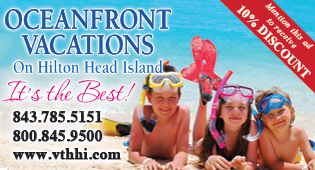 Making Time at Old Carolina: Time for the Family, Time for the Beach, Time for Fun! 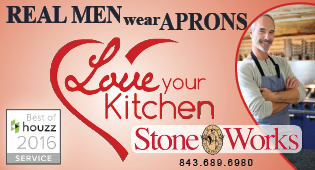 Joni & Carolyn's 25 Secrets To Market Street's 25 Years Of Success!